Do you want to know the best nooks of Barcelona? It is obvious that it has a lot of tourist attractions, but if you’re looking for some unforgettable and peaceful places, we reveal the secret! Barcelona has lots of squares to visit; some of them are very well-known like Plaza Cataluña, Plaza España, Plaza de la Catedral, Plaza Universidad, Plaza Sant Jaume y Plaza Real. However, there are other ones that aren’t famous but they are enchanting too. Nowadays, Gràcia is a cool neighbourhood where you will have spoilt for choice when it comes to there. It is suitable for young people because it has a bustling atmosphere. You will find five lively squares: Plaza de la Virreina, Plaza del Diamante, Plaza de la Vila de Gràcia, Plaça de la Revolució and Plaza del Sol. They are one next to the other within walking distance, so we recommend you a promenade around these pedestrian streets. If you are in Barcelona in August, don´t miss to go to this neighbourhood because is decorating with precious flowers. Plaza del Pi is without any doubt, one of our favourite. It is the most interesting and Bohemian Square of the Gothic quarter. Lying near Plaza de Sant Josep Oriol, street Petritxol and Santa Maria del Pi church it has ancient shops and restaurants with traditional cuisine. 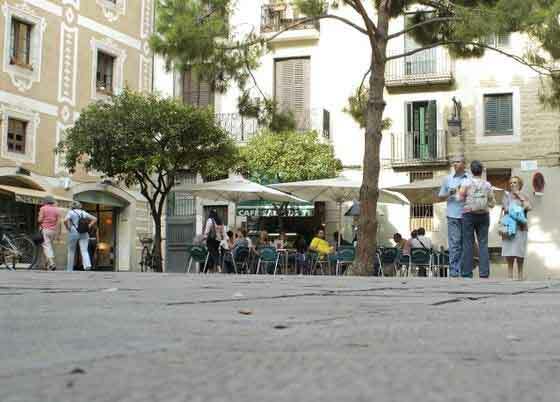 In Sants neighbourhood is Plaza d’Osca. You could enjoy in an easy-going and impressive area. Furthermore, at night is ideal if you are keen on restaurants and bars with terrace. You will have to be patient because every day people are queuing for one table! 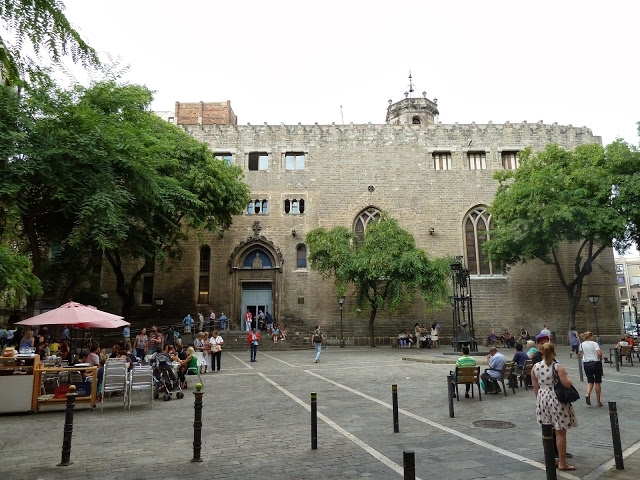 Sant Pere de les Puelles nestles in the heart of the old city. It is a quaint spot with a Romanesque Monastery, which was founded in the 10th century. The square has also a neoclassical iron fountain.